Since 1917 McGilligan’s has been offering professional custom furniture upholstery and reupholstery services to the Madison Wisconsin and the surrounding areas. 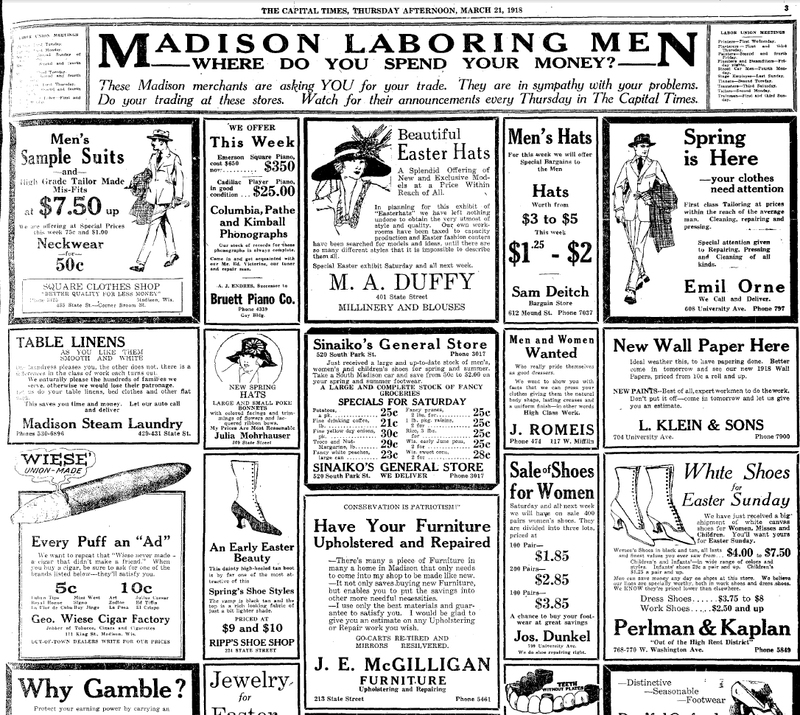 The McGilligan family has been serving Madison since 1917. The finest craftsmanship and detail go into each and every piece of furniture and lighting that we work on. No exceptions. From kitchen diners, stool tops, and benches to custom work, McGilligan’s has the experience to work on any and all types of furniture. Due to some changes with regard to retirements, vacations, and other changes, McGilligan's is only taking on a select number of jobs. Feel free to submit your upholstery request to us. If we can fit-it-in/do the job we will get back to you. If we can't we will forward your request to a local upholstery shop that we recommend. 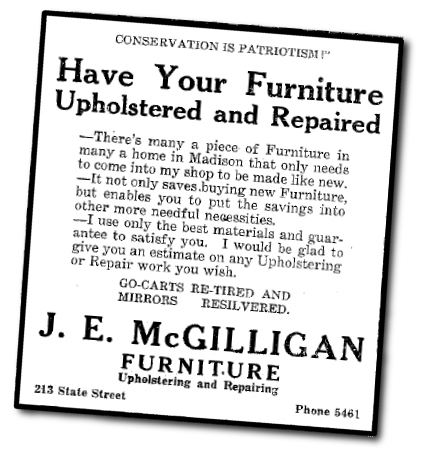 Since 1917 McGilligan’s has been designing, building, and reupholstering at some of Madison’s oldest homes, historical buildings and for historical people. 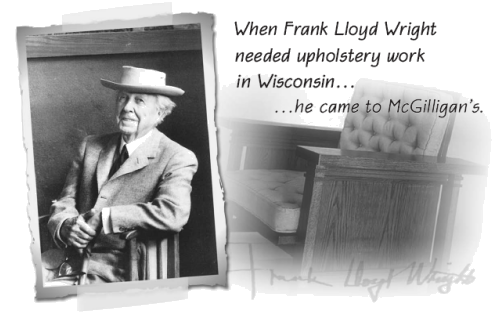 McGilligan’s has built custom furniture for Frank Lloyd Wright, upholstered for Marshall Erdman, we have done tapestry restoration at the Wisconsin state capitol building, we have made custom upholstered booths for historical Madison restaurants. McGilligan’s has the experience for your project. As our founder John Edward (Jack) McGilligan. said in 1919 "Conservation is Patriotism". 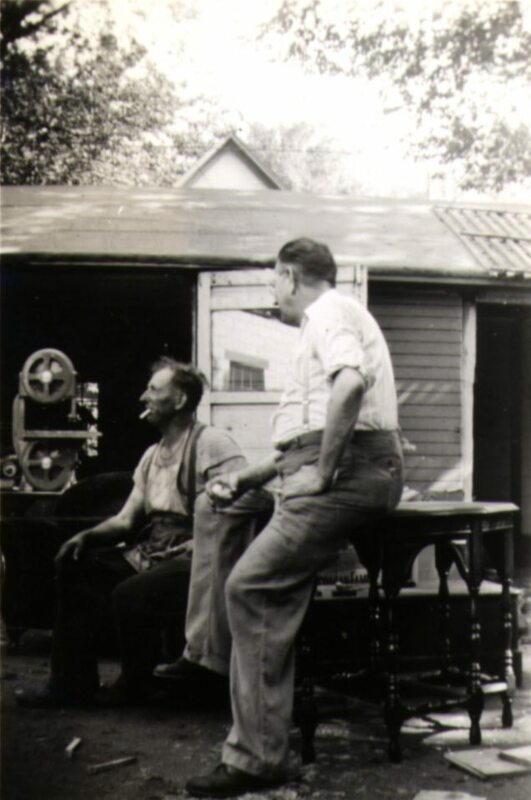 100+ years later McGilligan's is still following those same eco, and economic friendly principles by trying to reduce our contribution to landfills by renewing, reusing, recycling, restoring, reupholstery. Custom Lamps: Need something made into a lamp?